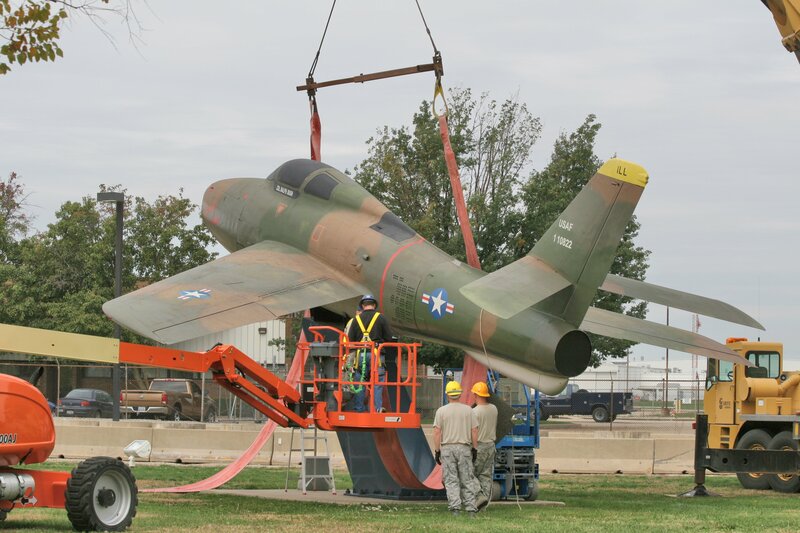 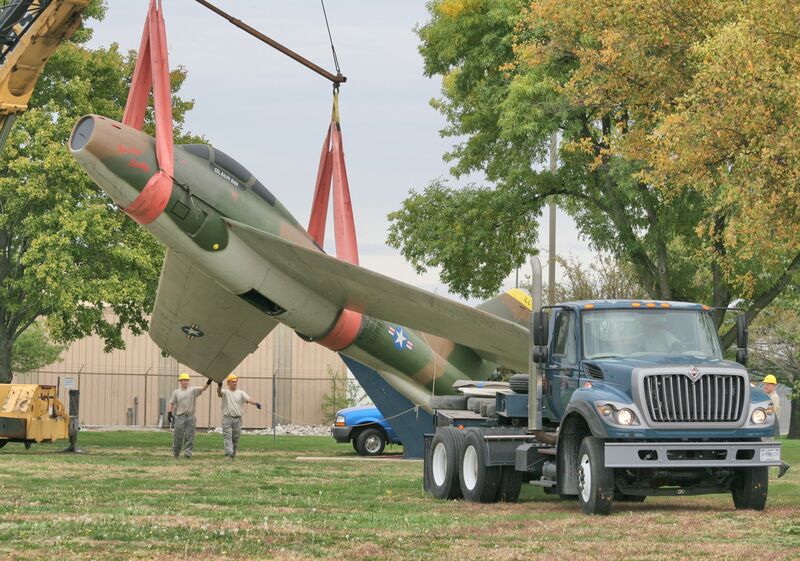 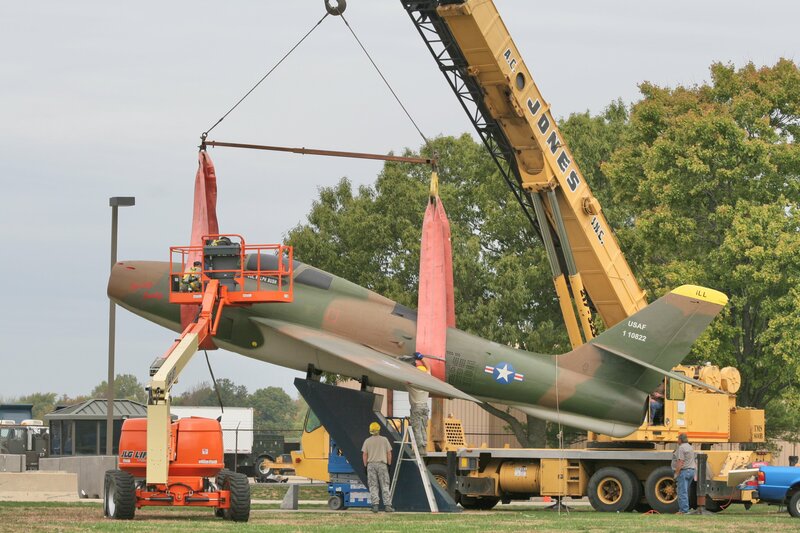 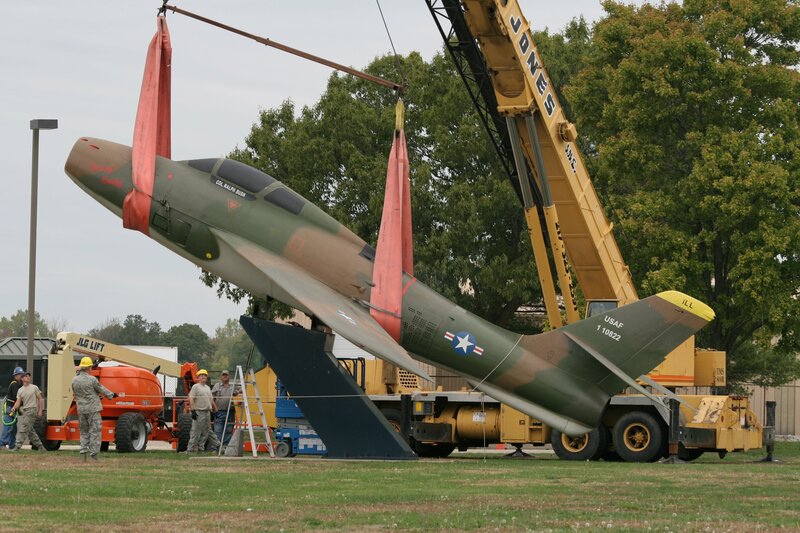 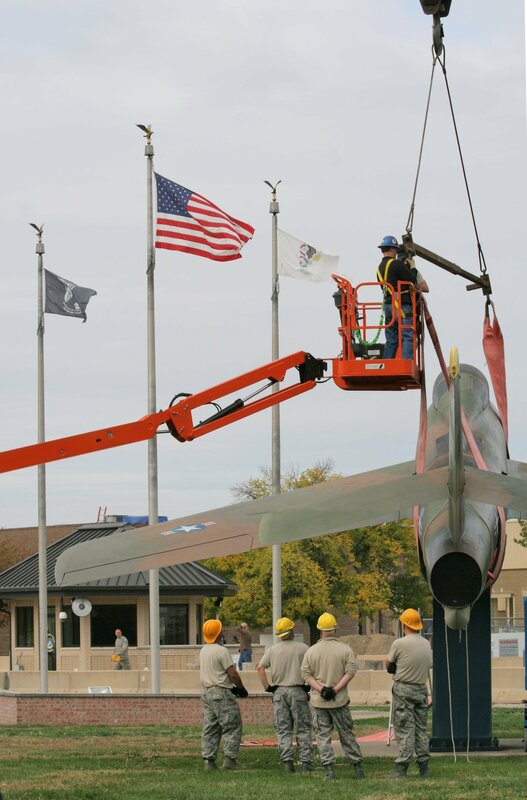 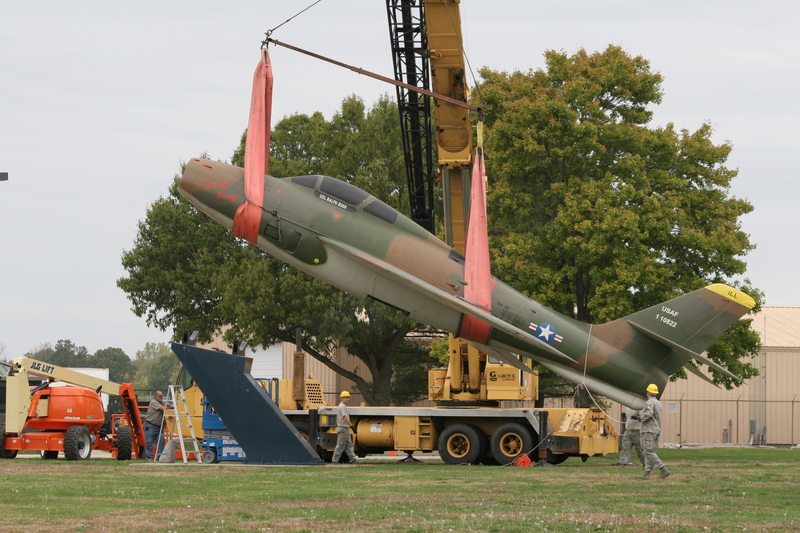 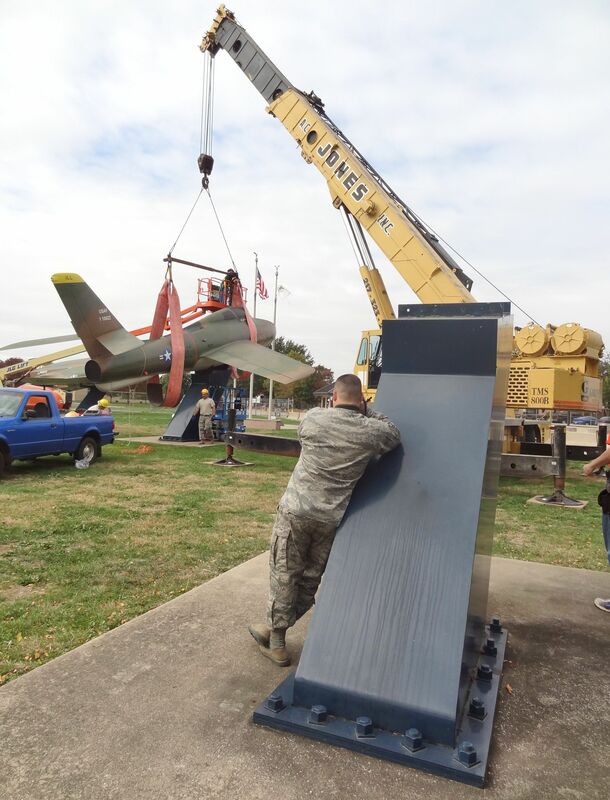 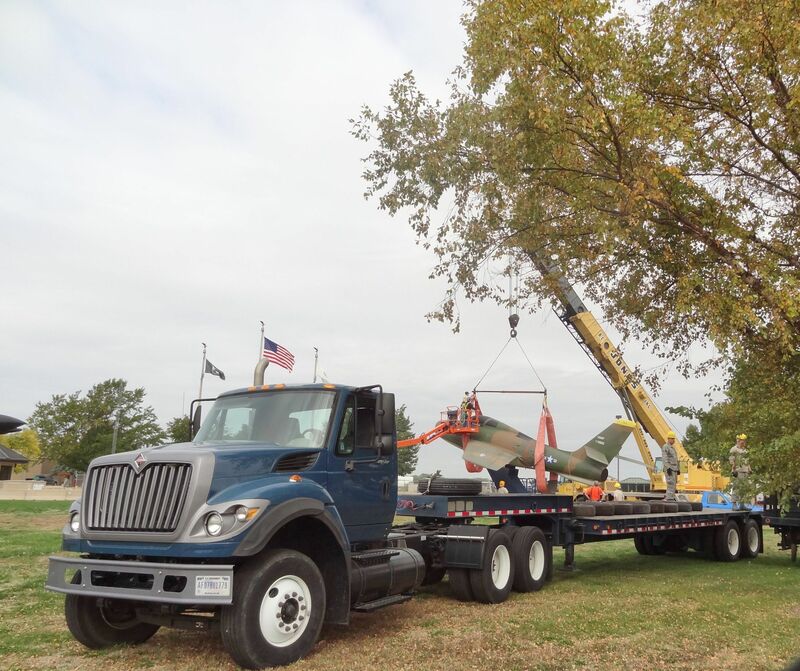 The Republic F-84F Thunderstreak removed recently from its pedestal in a memorial park next to the former main gate of the 183d Fighter Wing, Illinois Air National Guard actually flew operationally with the group until the type was replaced by McDonnell F-4Cs in January 1972. 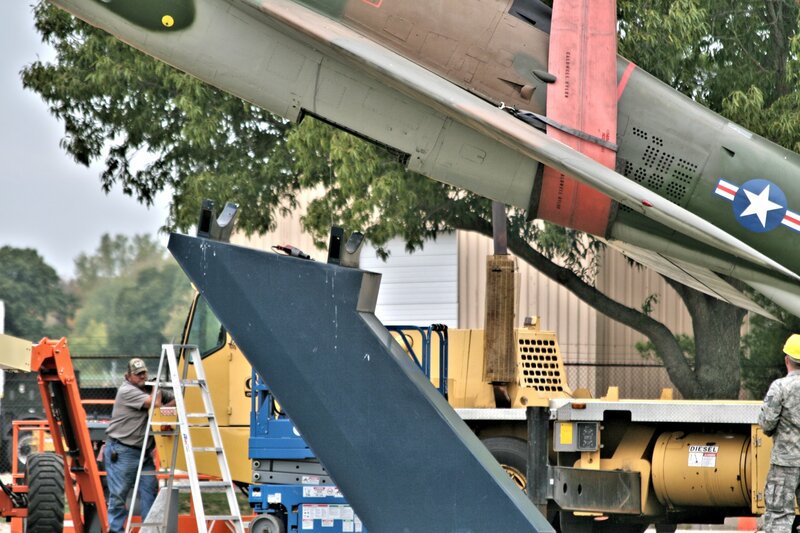 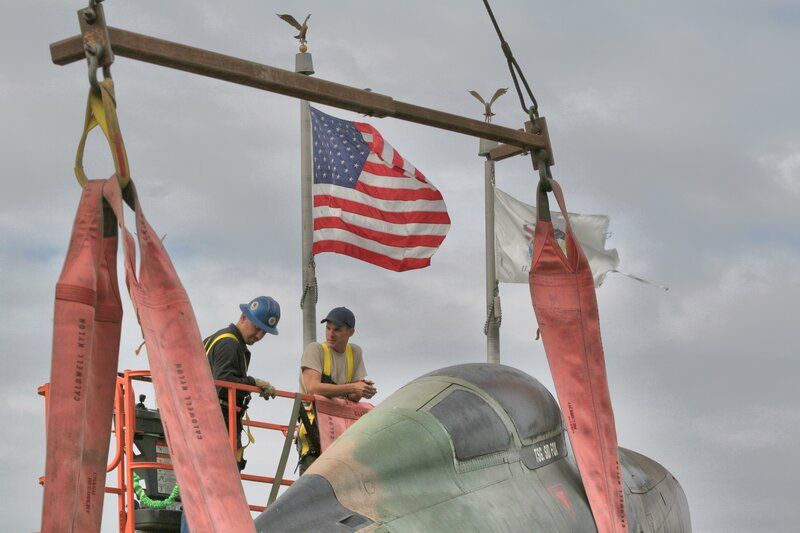 183d photographer leans against the vacated F-86 pedestal to watch removal of the Republic F-84F from its mount. 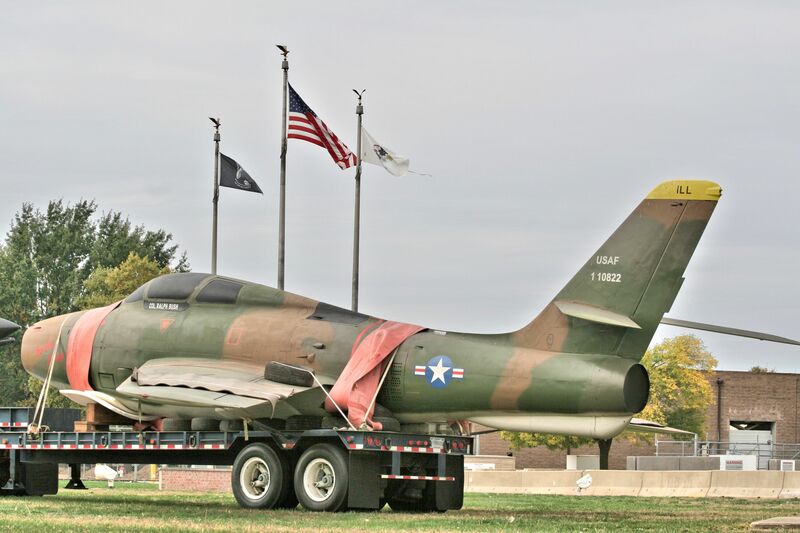 This particular aircraft was assigned to the 170th Tactical Fighter Squadron, 183rd Tactical Fighter Group and was based at this airport. 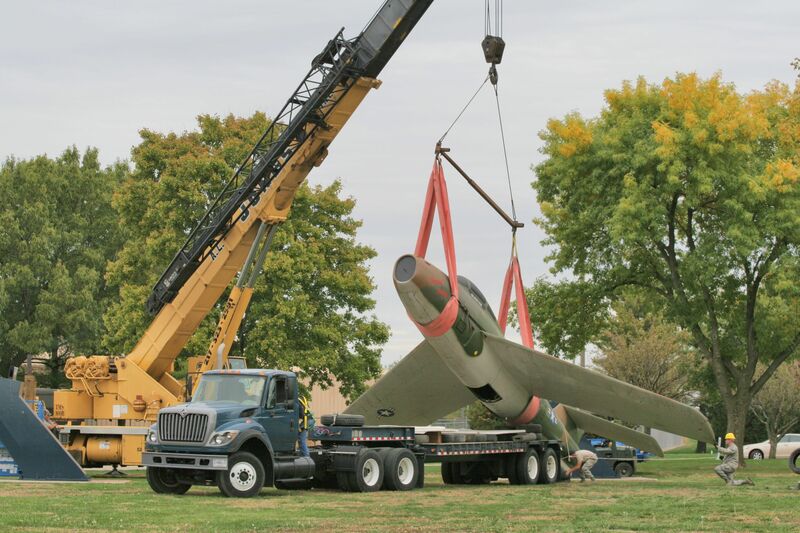 As the crane lifted the airplane off the pedestal, the heavy tail sank close to the ground but did not touch it.